Guess who’s coming to BIFF 2011? 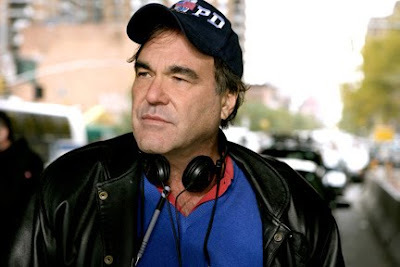 Oliver Stone! The Boulder International Film Festival (BIFF) announced today that Oliver Stone, Academy Award-winning film director, producer and screenwriter, will be honored with a “Master of Cinema Award” on Closing Night of the 2011 festival on Sunday, Feb. 20, at the Boulder Theater in Boulder, Colo. From directing “JFK,” “Platoon” and “W.”, to writing screenplays for “Midnight Express” and “Scarface,” to producing “Reversal of Fortune” and “The People vs. Larry Flynt,” Oliver Stone has left a lasting impact on the film industry. The evening’s tribute to Stone will include a film retrospective of his work followed by a question and answer session hosted by BIFF Executive Producer of Special Events Ron Bostwick. A Hollywood legend known for writing and directing historical films on controversial subjects, Stone’s 18 feature films have earned 31 Academy Award nominations and is himself a three-time Oscar winner. Stone won Academy Awards for “Midnight Express” (1978), “Platoon” (1986) and “Born on the Fourth of July” (1989). Whether directing, producing, writing or acting, Stone has been tied to more than 50 films since his industry debut in 1971. BIFF also announced director Don Hahn and writer/producer Andrew Steele as panelists for the Digital Media Symposium, held during the Festival on February 18. Hahn produced the Disney classic “Beauty and the Beast,” the first animated film to receive a Best Picture Oscar nomination and to win a Golden Globe for Best Picture. His 2006 short, “The Little Matchgirl,” earned Hahn his second Oscar nomination. Steele serves as creative director of Will Ferrell’s “Funny or Die” and is the executive producer of “Funny or Die Presents,” the HBO television series. Steele is an award winning comedy writer, who spent 12 years with “Saturday Night Live” as writer, the last four as head writer. The four-day festival, sponsored at the platinum level by 97.3 KBCO and Comcast Spotlight, will feature an Opening Night event to be announced later in January and the “Tribute to Oliver Stone” on Sunday, Feb. 20, at the Boulder Theater, at 2032 14th St. Doors open at 6:30 p.m. Tickets for the tribute are $60 and are on sale now. Proceeds benefit the non-profit, year-round activities of the Colorado Film Society/BIFF. (303) 786-7030. Single tickets go on sale Jan. 28. For more information, please visit www.biff1.com.